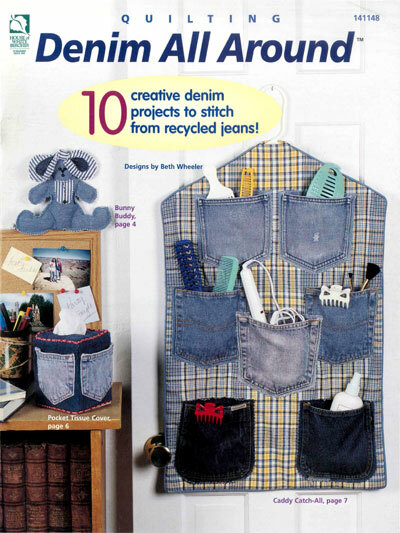 Stitch 10 creative denim projects from recycled jeans! 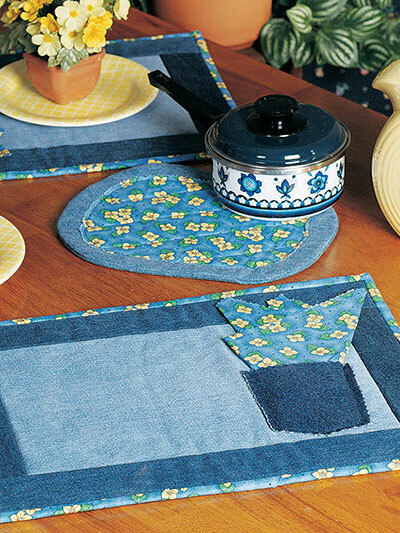 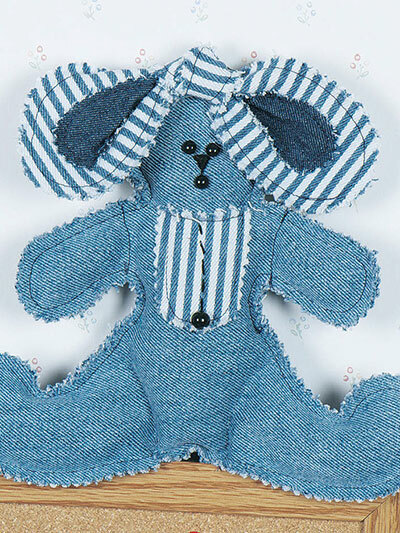 You can have fun and save money too when you stitch these terrific projects from denim. 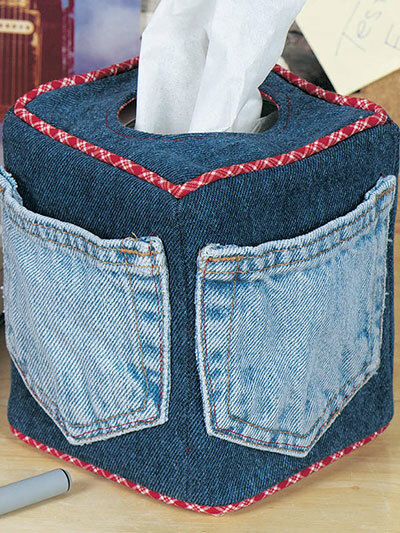 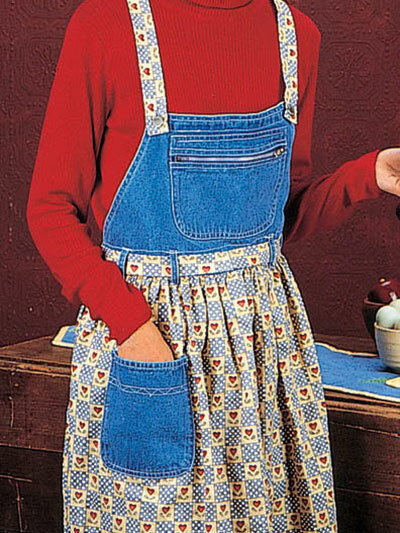 Tips for sewing with denim are included. 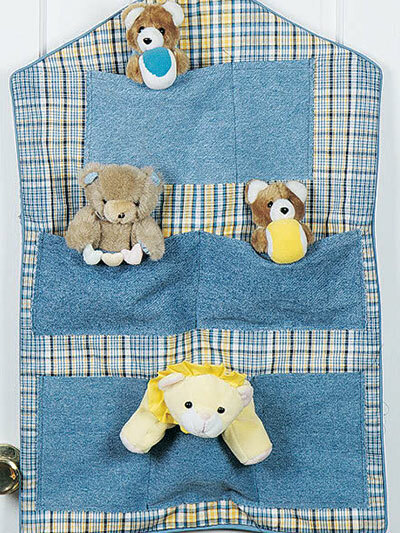 Projects include mother/daughter aprons, a stuffed bunny buddy, a pocket tissue cover, a caddy catchall for storing stuffed toys or dorm-room essentials, a log carrier, table runner and coaster set, hot mat and place mats. 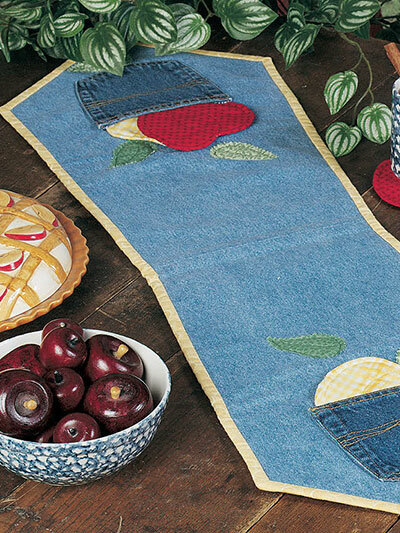 There's something for everyone on your gift list!